The listings on this page are being provided solely for the convenience of our members. 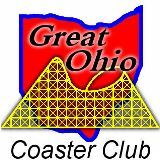 A listing on this page should not be considered an endorsement or advertisement for the park, organization or website of/by or on behalf of the Great Ohio Coaster Club, its Officers or its Members. Euclid Beach Rocket Ship Car - Here's your chance to ride the Original!